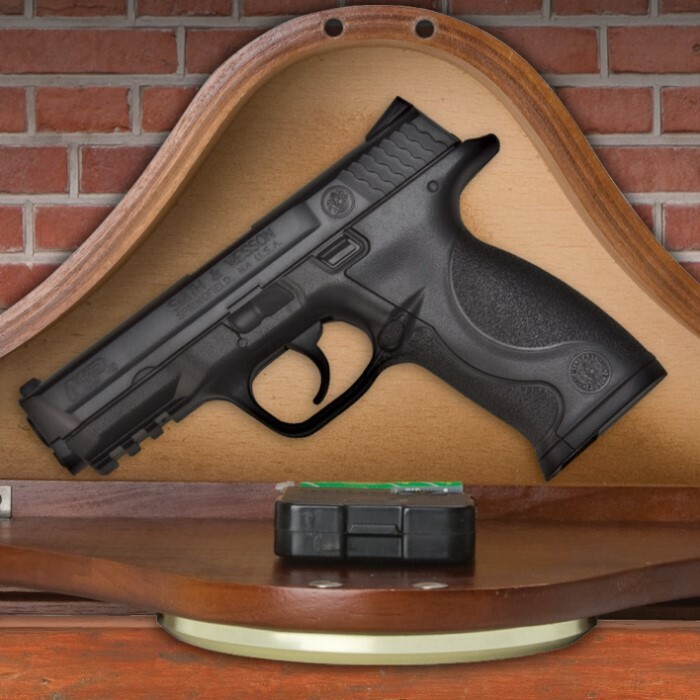 Hide your handgun and more in plain sight. 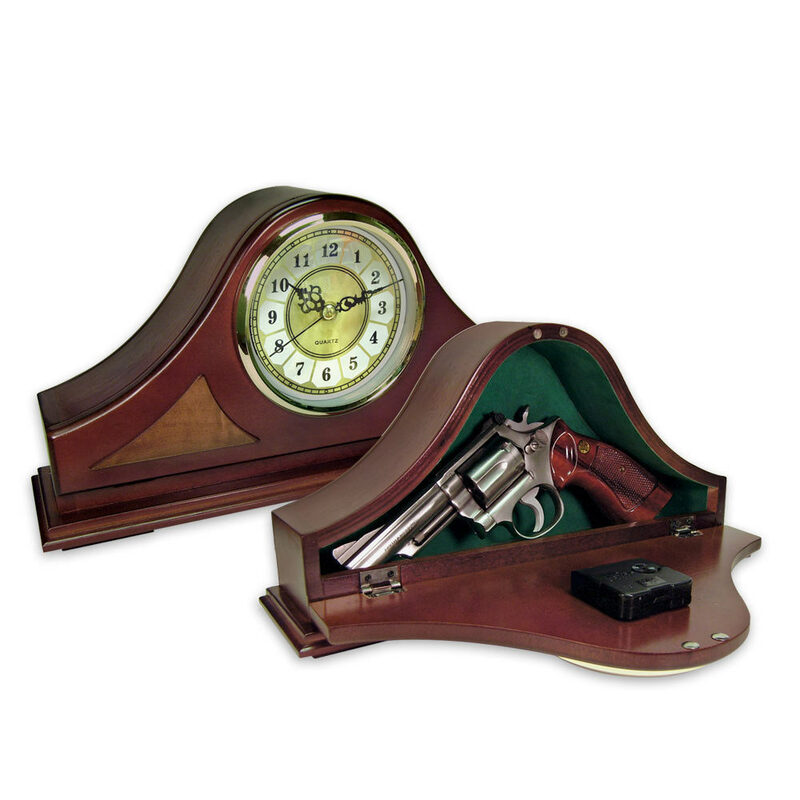 At first glance, this is a finely crafted working timepiece that is perfect for the mantle or fireplace, but pull open the magnetically latched, hinged front panel to reveal a secret compartment. Measuring 13 in. long, 2 1/2 in. deep and 6 1/4 in. to the tallest point on the inside, it's perfectly proportioned to contain a medium sized handgun. Includes one AA battery. Use mine every day,well made and looks great. I love it. Very nice looking clock. Looks great on the mantle. I definitely plan to get another one for the den. I know what I am getting some people for Christmas next year! Poor condition wood was scratched, not so nice.